This year the ShowBoats Design Awards have been retitled as the Boat International Design & Innovation Awards. There are two reasons for this. First, since ShowBoats International magazine has been rebranded as Boat International US Edition, we needed a new name. Secondly, we want the name to reflect our increased focus on design and engineering on the one hand, and innovation and technology that is driving owner interest on the other. Also high on our priority matrix are those features that will make a boat successful, smart and efficient from an operational perspective. 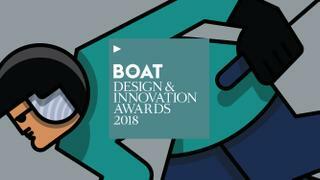 Accordingly, we are introducing several new categories to the Boat International Design & Innovation Awards, such as Best Lifestyle Feature Design (a tweak of last year’s category), Best General Arrangement and Deck Design and Best New Production Yacht Design. The latter allows us to evaluate new spec models designed in part to reflect the builder’s DNA and guided by the builder’s ideas for marketing/commercial success rather than one-off construction. Naval architecture, exterior and interior design, lighting and tender categories will remain as before. We obviously think that there are dynamic shifts underway in the superyacht industry and the time is right to modify the awards to shift in tune with the products and available technology and with the demands of today’s owners. We are excited about our rebranded and reinvigorated awards program and about some highly qualified new judges we are bringing to our team. The Boat International Design & Innovation Awards will take place in January 2018 in Kitzbühel, Austria during the Superyacht Design Symposium. As with the past several years, the nomination and entry process will take place solely online and nominations will close on October 13, 2017. Please click here for all the details of the new categories and the entry process.